Created by a Slovakian firm and headed by designer Stefan Klein, the AeroMobil is a flying car in the same way that an amphibious vehicle is a floating car. You won’t just be able to take off from any road while in the car; instead, flying will have to be done from, and to, airports. 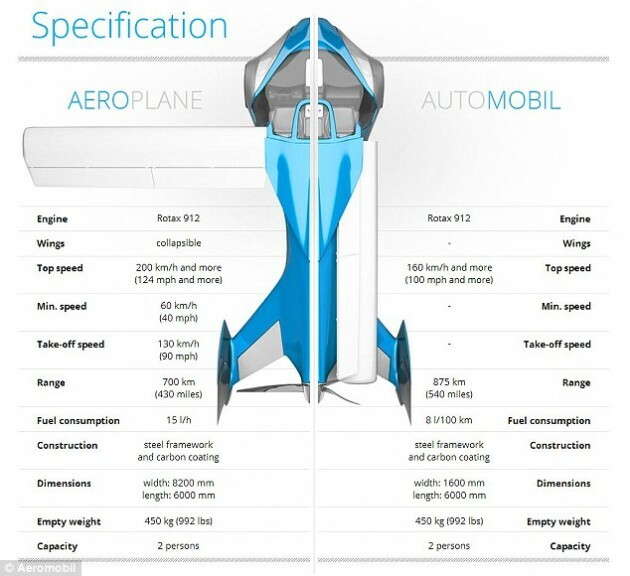 But once you land and fold the wings away, the AeroMobil functions like a regular car which can fit into a standard parking space. 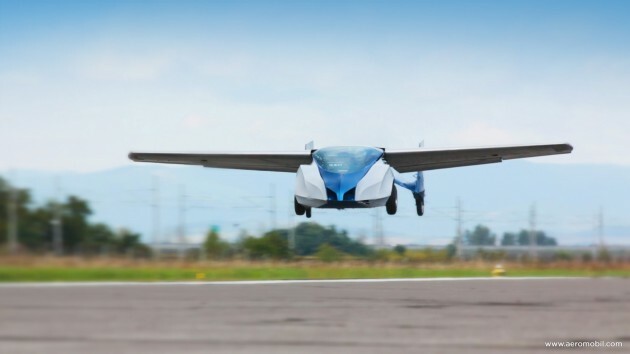 The AeroMobil isn’t a brand-new invention. Developers have been working on the craft since 1990—just five years after the first Back to the Future movie (coincidence? We think not). Over three generations, the guys at AeroMobil transformed the vehicle from something impractical to something we could genuinely see gracing our roads in the next few years. So what are the stats on this unbelievably awesome contraption? Well, for starters, it can fly up to 430 miles on a single tank of gas. And it doesn’t take any special kind of gas—you can fill it up at any station (although you might have to splurge for premium). The AeroMobil can reach 124mph in the air, and 100mph on the ground. All in all, it sounds like one incredible invention, and we look forward to learning more about it as we get closer to its October 29 reveal in Vienna.